Calgary Dentist - bonding, bridges, caps, crowns, implants veneers and braces. For chipped, fractured, discolored teeth or to reduce gaps. For this procedure, a dentist chooses a composite resin, a type of plastic, that matches the color of your teeth. Several layers can be applied to each tooth. Each layer is hardened using a visible light of a specific wavelength. Final steps include shaping and polishing the resin material so the finished tooth looks natural and smooth. Bonding can also be used to build up older teeth to make them appear younger. Bonding is an option for people of all ages because the resin can be replaced as it discolors or gets chipped. 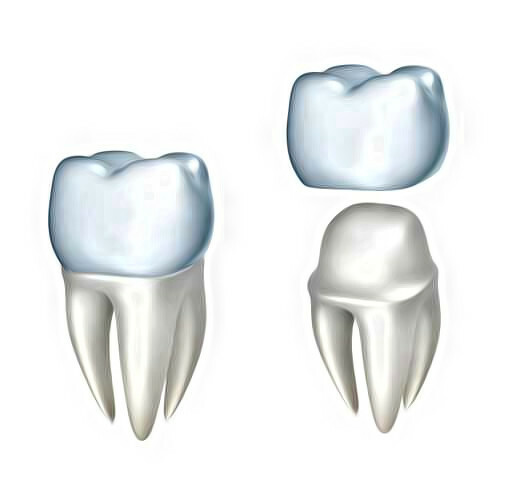 A crown or cap is a cover that fits over a tooth that has been damaged by decay, broken, badly stained or misshapen. 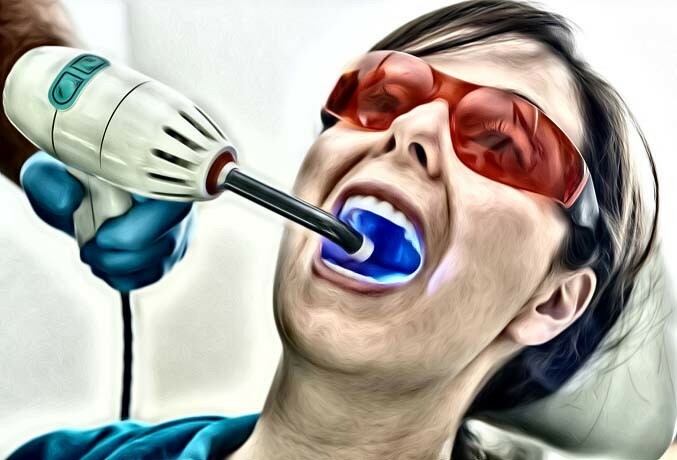 It is prepared by your dentist, and usually requires more than one visit to complete. Crowns are made of acrylic, metal, porcelain, or porcelain bonded to metal. All-metal crowns are sometimes used in back teeth for its strength. Preparation for a crown includes freezing the tooth and shaping it to allow the crown to fit over the top. Photos or impressions of the teeth and gums are done, and a temporary crown is fitted to protect the tooth until the finished crown is ready. On your next visit, the dentist will remove the temporary cap and cement the crown onto the tooth. The crown will closely match the colour and shape of your natural teeth. A missing tooth negatively affects your appearance – causing your mouth to sink and your face to look older. It can affect the way you chew and speak. Luckily, bridges can easily fill in these compromising gaps. Discuss with your dentist the type of bridge that is appropriate for you. If one or more of your teeth are missing, there are a number of ways to replace them. An alternative to bridges, partials or complete dentures may be dental implants. 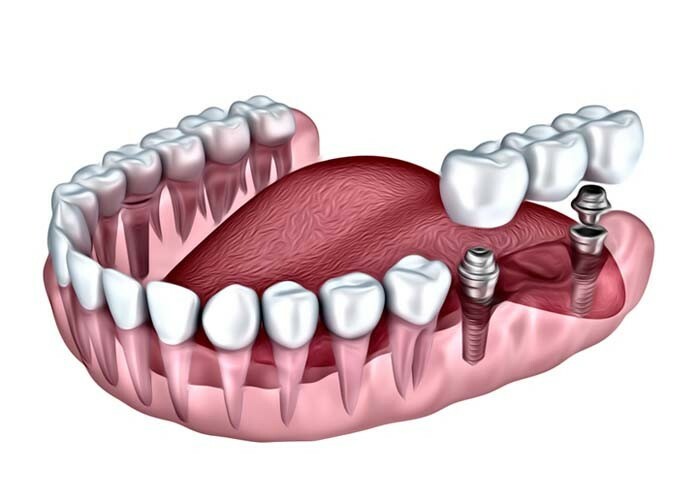 Implants are used to replace missing roots and support artificial replacement teeth. Consult with your dentist at Smileworks about this option. Porcelain Veneers are thin shells of porcelain that are attached to the front surfaces of teeth for an immediate smile transformation. It is comparative to false fingernails but veneers can last for many years with careful daily oral hygiene.